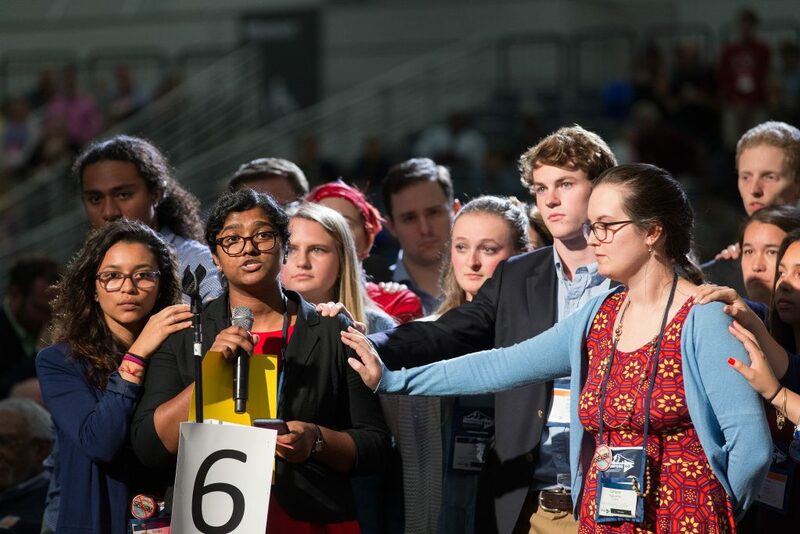 We, the people called United Methodists, are constantly compelled to seriously appraise and quantify our levels of involvement and commitment with all aspects of life throughout the vast reaches of the world. Life is changing, society is changing, our nation is changing and most of the basic institutions that had contributed on making of us one of the most influential, innovative and powerful country around the globe are different from 30, 50 or 100 years ago. They had been walking and working in parallel with all the discoveries and significant advances that has been developed in the domestic, as well global context, including the aerospace technology, the new financial paradigms given by a global economy and the destructive actions of war and natural disasters. In fact that is the only formula in which we can assure to one another that we still relevant, as a multi – cultural and multi ethnic and multi lingual society. It’s obvious that the needs and demands of the society of the XXI century are significantly different than 14 years ago. Yes, is 14 years ago that we started a new century, a new millennium and a new era of communications. At a time when change is happening faster than the blink of an eye, we the people called United Methodist, the Body of Christ we must come back to the sacred space of our congregations sharply aware of the imperative to re-formulate the structures of contextualizing our mission and role in society. Astonishing technological advances over the last several decades have literally reduced the size of the globe, shaping our perception of the cosmos as entirely interconnected reality that challenges our current forms of doing church. It is in this context of high-speed internet, where more than occasionally our virtual lives take precedence over our real lives, that we are called to find new forms of being the church. Basic concepts such as community, neighbor, mission and redemption must be re-defined before continuing the work of developing our local programs, strategies and resources. Additionally, the massive and multi-faceted phenomenon of migration, the resulting multi-cultural settings and the growth of multi-ethnic, multi-language communities is happening across the oceans and not just here in the USA. The need is global, the challenges are as huge as global, and great are the opportunities that we have as builders of His kingdom. Our own definition of the mission: “making disciples of Jesus Christ for the transformation of the world,” will not allow us (if we take it seriously) to continue practicing ministry in a configuration that favors a particular socio-economic sector of the population and at the same time excludes the vast majority. ‘COME FOR EVERYTHING IS READY NOW. BUT THEY ALL ALIKE START GIVING EXCUSES.